Located north of the historic resort town of Vung Tau, Long Hai is the new destination with sandy beaches, tranquil blue seas and fresh breezes. Along the seaside of Long Hai, 110km from HCMC but a world away, lies Laguna Beach, where relaxation can begin. Laguna Beach offers a world class resort lifestyle with full facilities, including golf driving and putting greens, tennis court, spa, and individual swimming pools. The International branded Spa offers world class quality treatments and services in luxurious facilities. Total capital: 45 millions USD. Many property investors have been slow in paying back their bank loans because of the slump in the real estate market, independent market watchdogs say. Compared with late 2007, the price of apartments and land plots has fallen by 30 to 50 per cent this year. And the number of sales and purchases has fallen dramatically, Le Xuan Nghia, director of the State Bank of Viet Nam’s Stragety Department said. According to property brokerage companies, up to 80 per cent of investors have used capital raised from local bank loans. The number of loans peaked last June, when banks vied with one another to offer the best rates to borrowers. Banks last year were also offering more loans to individuals who wanted to buy apartments, with a 10-year loan equivalent to 70 per cent of the asset’s total value. Several banks raised their lending rate to 90 per cent of the apartment’s value, with a maturity of up to 30 years. Many borrowers had only to pay the interest and not the principal for the first three years of the loan. But today, many domestic banks have had to limit their lending to 30 per cent compared with 54 per cent. Many banks have temporarily stopped the disbursement of loans for real estate projects, contributing to the real estate slump. Some banks have said they might try to assess the current real value of the mortgaged assets of investors to determine a new schedule of debt payments. Many mortgaged properties have dropped in value in the last six months. Selling the mortgaged assets of investors who cannot pay their debts may be one option to retrieve capital, banks said. But banks said this would be a last resort as the time needed to sell mortgaged property could take several years. The Government organised a meeting along with the HCM City Real Estate Association (HoREA) last Saturday to discuss difficulties faced by property investors and find ways to overcome them. HoREA chairman Le Hoang Chau said the property market was in deep depression with apartment and land prices down 30-50 per cent since the end of last year. Talking about the reasons, a HoREA representative said with the Government tightening loans to the property sector and increasing bank interest rates and corporate income tax, the sector was finding it hard to mobilise funds. A property company representative said despite having to pay 20-23 per cent interest, it was not easy to obtain bank loans. Many projects have been delayed due to lack of funds. Property prices have slumped and building material prices risen suddenly. Property transactions have slowed down, the lending rate has gone up, and deadlines for old loans are closing in. All these factors have sent small investors into a panic. The red tape involved in setting up a project has deterred new investors from entering the market. The slowdown in the property market has also affected the banks. In the past, they offered customers loans of 70 to even 90 per cent of the cost of an apartment for periods of at least 10 years. But with the property market going into a slump, borrowers are unable to repay their debts, leaving banks to sell their collateral to recover the loans. The general director of a HCM City-based bank said, however, it would take some time to do this, leaving banks struggling for liquidity. Chau said the property market had returned to realistic values, offering investors the chance to buy apartments and land at reasonable prices. 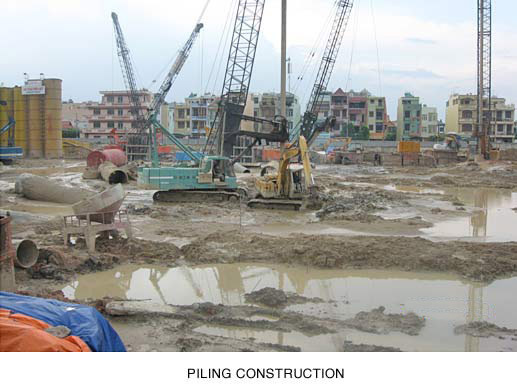 To overcome the current slump, HCM City real estate companies suggested several measures. They suggested that banks should provide property companies medium- and long-term loans at reasonable interest rates. They should also offer easy loans for terms of up to 25 years to low-income people to buy houses, they said. The Government should reduce the corporate income tax to 20-22 per cent from 25 per cent, tax on transfer of land use rights to 2 per cent from 4 per cent, and registration fee to 0.5 per cent from 1 per cent, they said. They also wanted the Government to fight speculation and draft policies for social housing programmes for workers and other low-income people. Dr Nguyen Xuan Trinh, deputy head of the Central Institute for Economic Management, called on the Government to reform procedures related to approval of property projects and issuance of building licences, and house ownership certificates. Bac said dramatic policy changes to clarify land prices in different areas, plans to implement projects which will use large agriculture areas, a working schedule of land clearance and compensation for every project and the cooperation between land and other related policies were needed. He said the lives of local residents must be considered when implementing large-scale projects which mobilize vast amount of land. 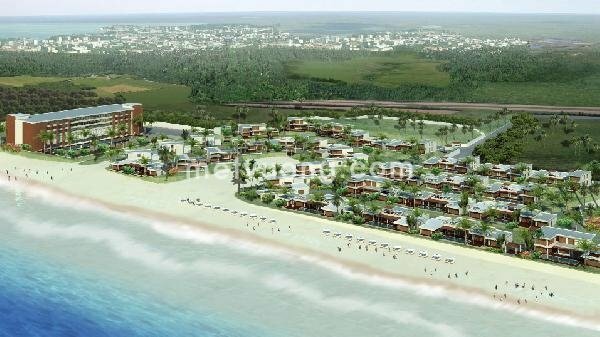 Work began last Saturday on Vietnam’s largest tourism venture to date, the Ho Tram Strip in the coastal province of Ba Ria – Vung Tau, which is being developed at a cost of about US$4.2bil. The US$4.2bil Ho Tram Strip in the coastal province of Ba Ria – Vung Tau is officially launched. A day earlier, on Friday, Asian Coast Development Ltd, a Canadian-based luxury resort developer, was awarded the investment certificate for the project before moving quickly to break ground. The 157ha complex has been designed by Steelman Partners, an architectural firm from the US city of Las Vegas. The complex will be integrated into the area’s natural surroundings, designed to conserve resources and preserve the environment. “We share the same vision and determination as our Vietnamese partners in ensuring this development respects the lush natural beauty of the area while showcasing local-culture,” said Aymong. When completed, the complex will include five hotels with a total of 9,000 rooms, an international conference centre, and entertainment facilities. Recreational options will include spas, performance venues, a retail area and a wide selection of restaurants offering local and international cuisine. In the first phase of the project, a five-star hotel with 1,100 rooms, a championship golf course designed by PGA legend Greg Norman, and Vietnam’s first Las Vegas-style casino, will be built for opening in late 2010. The second phase, operational a year later, would include a 1,300-room hotel, an additional casino, and 10 restaurants and nightclubs. The entire complex, located 80km northeast of HCM City, will be completed within a decade. “I believe that this project will prove to be a huge success and will open up various opportunities for economic, commercial and investment co-operation between Vietnam and Canada in the years to come,” said Prime Minister Nguyen Tan Dung in a meeting with the developers ahead of the official announcement on Saturday. 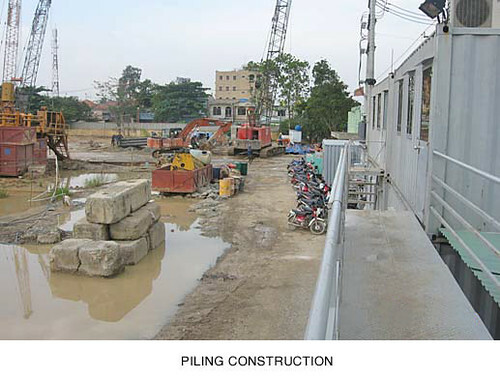 The latest move from state management was seen on 10 January 2008 when the government office released the official dispatch No.231/VPCP-CV delivering the guidance of Deputy Prime Minister Hoang Trung Hai on the management and development of the real estate market. According to the dispatch, the Deputy Prime Minister asked the Ministry of Construction to coordinate with relevant ministries and agencies to consider setting up the working board on the property market so the Prime Minister can have information and then frame proper mechanisms and policies to manage and develop a healthy real estate market. The information must be reported to the Prime Minister in February this year. Earlier, the Prime Minister Nguyen Tan Dung on January 8 introduced instructions requiring related ministries, industries and localities to consistently take measures to cool down the overheated property market. PM has also asked for an inventory of public land from 1 April 2008. The instructions No.31/2007/CT-TTg pointed out that the management and use of public land by organisations which have been assigned or lent it are now ineffective. Many abuses are apparent, such as using public land out of the area and illegally renting, transferring, or destroying land. In addition, a series of legal documents, issued earlier to address difficulties related to the real estate market, had a good impact on market development. Mr Tran Huu Huynh, Head of the Legal Department under Vietnam Chamber of Commerce and Industry (VCCI) affirmed, “The decree guiding the implementation of the Law on Real Estate Business has been issued to create an open legal framework for both state management and investors, and people will benefit from this.” Specifically, property brokers are forced to register business licenses, otherwise they will be penalised under Clause 50, 8, items 1,2,3 of the Law on Real Estate Business 2006. If being private, property brokers must have professional certificates for their operation, requiring a professional training course. A brokerage company must have at least two employees with certificates. Newly established enterprises are still considered to grant certificates, or allowed to return certificates as of early 2009. All property transaction information must be publicised at the trading floor and by the media (in pursuance to Clause 11 of the Law on Real Estate Business 2006). 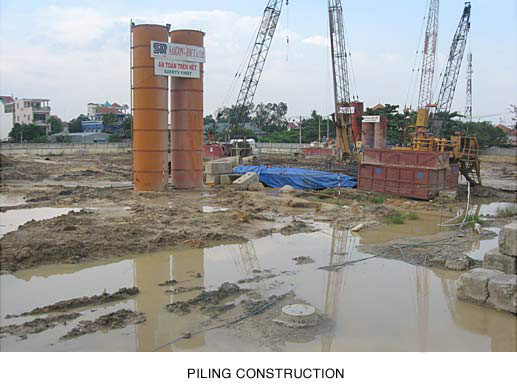 As for big real estate projects, investors are required to have enough financial capacity. As for new urban areas and industrial parks, investors must hold at least 20 per cent of total investment capital. Especially, the state’s policy allowing foreigners to buy houses since 15 November 2007 is also a stimulator to heat the real estate market. Besides, as the unlisted stock market (or over-the-counter market) has recently seen irregular fluctuation with unexpected risks, investors realised that it would be safer for them to invest in the real estate market. Many listed companies on the stock market have also poured money into the property market in order to increase the asset value of their businesses. At the Vietnam Property Market 2007 forum, held December 3-6, the Deputy Minister of Construction Nguyen Tran Nam affirmed that the development of the real estate market would have a widespread influence on the national economy. 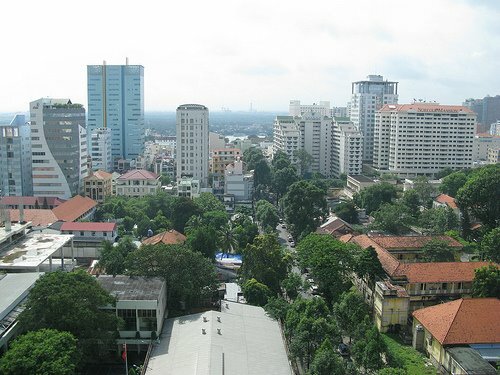 A representative of Real Estate and Housing Association said Vietnam currently has 729 urban areas, including two special urban areas, three grade one urban areas, and 14 grade two ones. 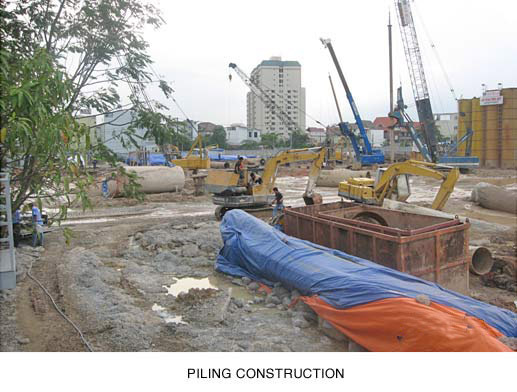 The urbanisation speed of Vietnam is forecast to be high in the coming time. Therefore, demand for accommodation in Vietnam is very high. In 2007-2010, Vietnam need to build 366 million square metres of houses, including 176 million square metres in urban areas and 190 million square metres in rural areas. In addition, the demand for offices for hire, retail space and hotels is increasing. Many real estate brokerage centres have reported much brighter transaction information early this year. The demand for land to construct offices and agencies is also soaring as office rentals have been rising, and it would be a safe solution to possess an office. 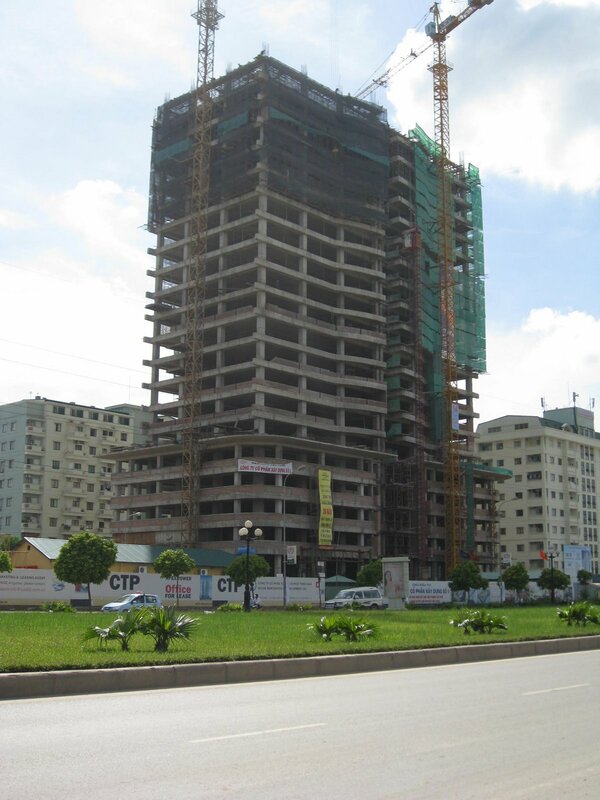 These signals show that Vietnam’s real estate market has seen a basic recovery in 2008 after a long freeze. However, domestic and foreign property traders and investors should have long-term and flexible strategies ride out market movements and avoid risks.